What’s your family’s signature style? Are you an outdoorsy, adventuresome bunch? Bookish history buffs? Beach loving and barefoot? Pick a shared passion and let it guide you to the holy grail of family travel: A trip that will please the whole clan, from wee ones to big kids to grownups. SPORTY FAMILIES have a wealth of options: dude ranches, bike tours, even outfitter-led journeys to exotic locales like Costa Rica (think zip-lining in the jungle). With ski season approaching, pack up your parkas and check in to a resort that caters to families with ski schools, kids’ programs, and après-ski fun like cinemas, sleigh rides, and bonfires. Don’t forget to take advantage of your T+L Family Club savings on skiing and snowboarding tickets at resorts nationwide—see the next page for specific offers and details. 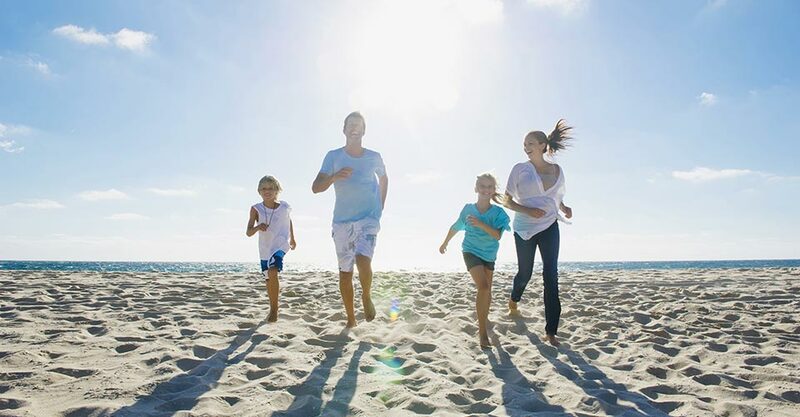 SUN-AND-FUN LOVING CLANS will do well to choose a family-centric beach resort. You can count on all-inclusives like Club Med and Beaches resorts to pamper parents with childcare and nanny services. Be sure to look for a resort with a great kids’ program; some take kids on marine discovery expeditions or invite them into the kitchen for cooking classes. And many high-end resorts woo older kids with teen spa menus or sports training sessions. For great beach vacation ideas and exclusive T+L Family Club savings, see page 4 of this newsletter. HISTORY BUFFS: Point your compass toward urban destinations like Washington, D.C. or Boston for hands-on fun at museums, national monuments, and historic walking trails. Boston’s 2.5-mile, red-brick Freedom Trail takes in 16 historic sites that tell the story of the American Revolution. Or visit a living-history village like Colonial Williamsburg in Virginia, where costumed interpreters bring the past to life. See page 5 for more ideas and special offers. SEAFARING FAMILIES will find something for everyone on a cruise ship—the perfect choice for multigenerational groups. You get to see a range of exotic locales yet you unpack only once, and the idea of returning “home” to the ship every night makes routine-loving little ones more comfortable. Look for a cruise line with a top-rated youth program; Disney Cruise Line has activities galore for kids of all ages, while Celebrity Cruises keeps kids and teens engaged with its X-Club program. See page 6 for hot cruise deals just for T+L Family Club members. CULTURE VULTURES can indulge their passion in Europe, on the trail of great art, architecture, music, and more. Older families in particular will do well with old-world destinations in Eastern Europe (think romance in Prague and Budapest) or the Mediterranean (ancient splendor in Athens and Rome, inspiring architecture in Barcelona). If you have little ones in tow, consider booking a European cruise. Your cruise ship’s youth program can keep the kids enchanted while you explore more sophisticated pleasures on land. See page 6 for ideas and offers that are just right for your globe-trotting family.